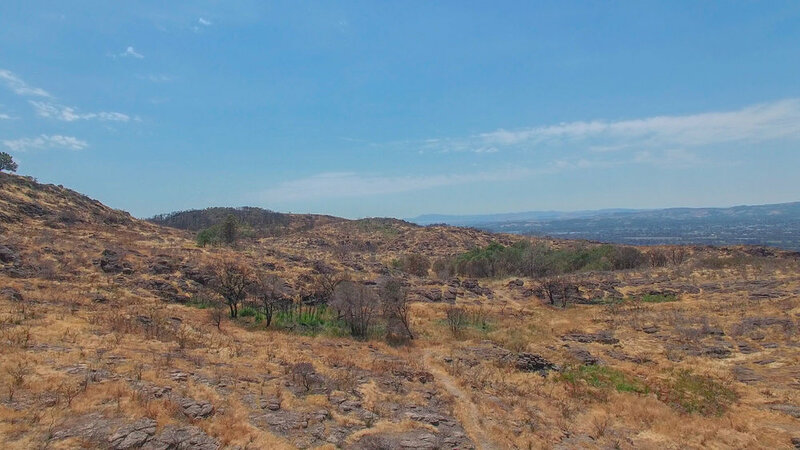 A 13+ acre estate lot with stunning views of the Napa Valley and Mayacamas Mountains. 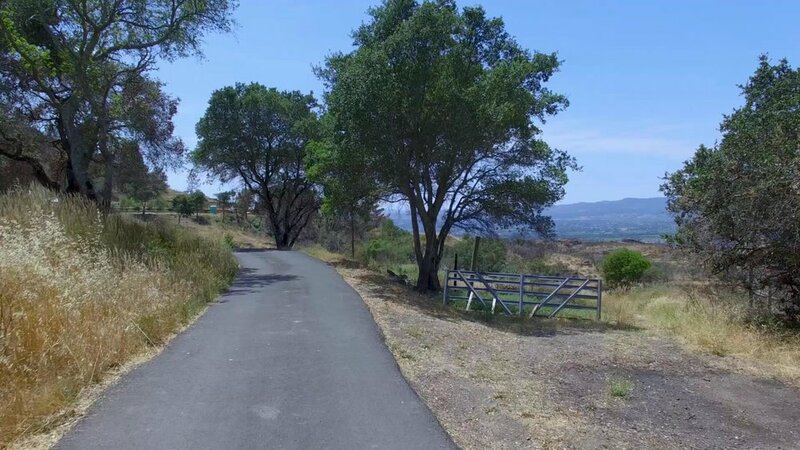 Located in north Napa off of Monticello Road, a newly paved lane takes you to the property entrance. 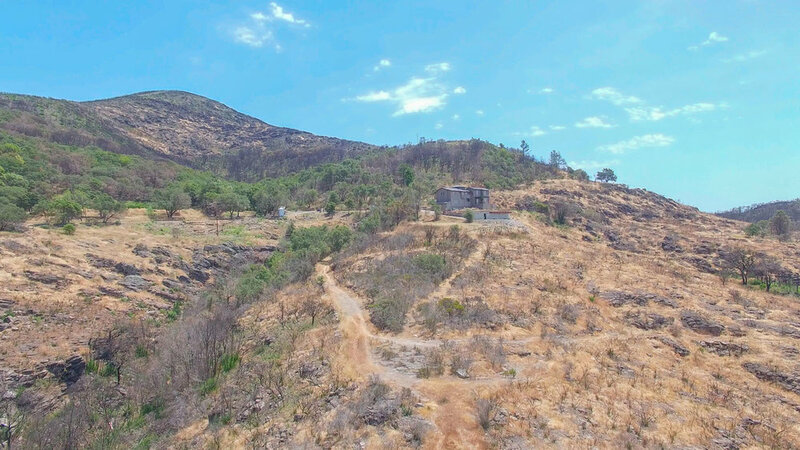 The location provides seclusion yet is close to all Napa and the surrounding wine country have to offer. Off the lane, a dirt road ends at a level building site. The setting is natural with rocks, boulders and native plants. Site has a 4-bedroom approved septic perc. Additional usable land for other buildings is near the main site. Utilities (electric, phone, cable) have been brought to the lot's entrance. 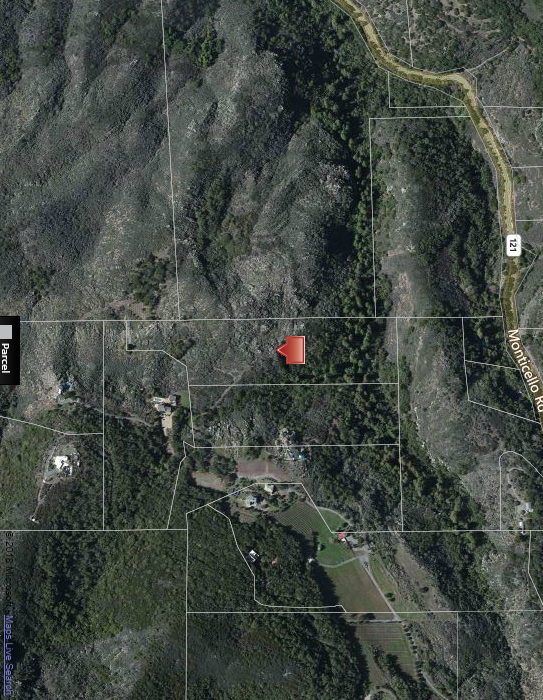 No well, but adjacent property has a permitted 25 gallon per minute well. Monticello Road, is located in the hills above north Napa. 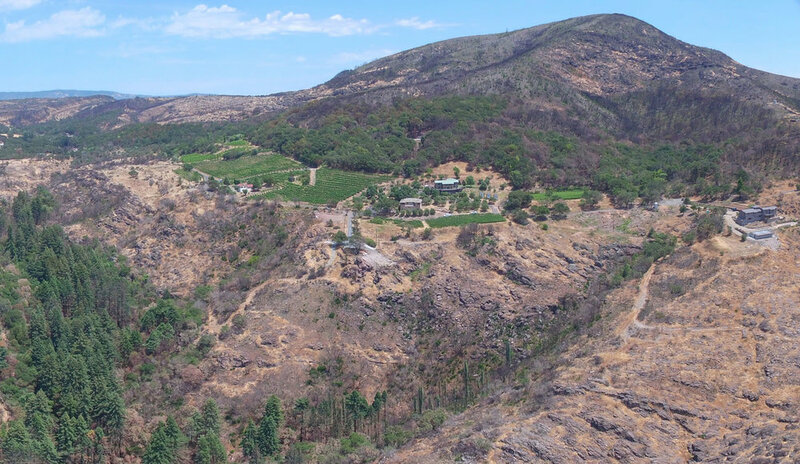 The 13+ acre lot offers potential for a one-of-a-kind estate. 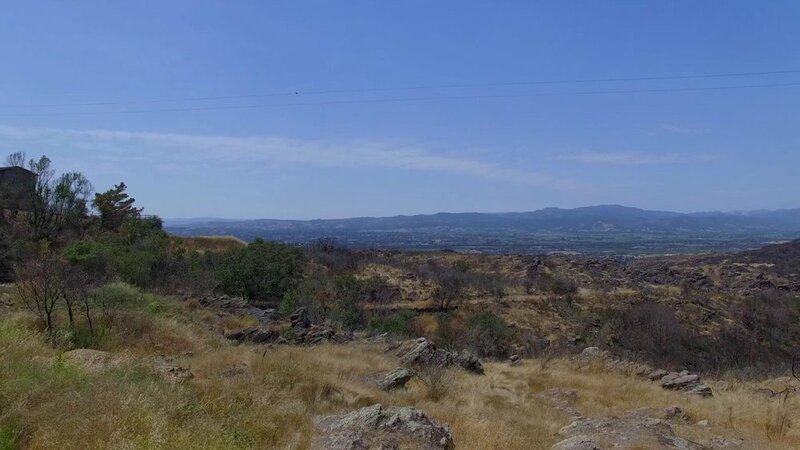 which leads you to stunning views of Napa Valley and the Mayacamas Mountains. Level land and gentle slopes provide an additional building site. To the east is stately Mount George.